Tiana Star- Making Music for Me, Movies and Fun! When you ask the singer/songwriter,Tiana Star, where she is from, she smiles and says, "Everywhere." Because of her father's job growing up, Tiana has moved over 25 times and lived in six different states, Canada, and Ukraine. From the pop of Los Angeles to the blues of New Orleans, Tiana’s music and life spans many different cultures and blends them into one soulful singer/songwriter. When fans hear Tiana they often compare her to Sarah McLachlan, Feist, Ingrid Michaelson and other groundbreaking artists, yet Tiana blends her influences in a way all her own. After graduating with her Bachelors of Music from the prestigious Berklee College of Music, and with years of performing, writing, and producing under her belt, Tiana Star teamed up with the talent of producers Bill Lefler (Ingrid Michaelson, Dashboard Confessional) and Justin Glasco to release Tiana’s EP “Room To Grow.” Tiana’s songs from her album, Room To Grow, as well as her other albums “Star” and “Solicited” have been placed on NBC’s Morning Show and several independent films. Tiana Star has tourned nationally and showcased on Television and Radio at Sundance Film Festival 2011. Tiana recently completed her Masters Degree in New Media Journalism and opened her own company, Firefly Media, where she consults other business owners on branding, design, and online marketing. 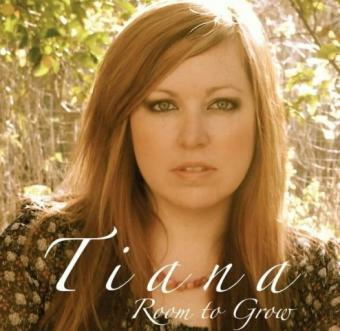 All of Tiana’s albums are also available on iTunes and Amazon.